The industry training for financial advice in New Zealand recently conducted a fascinating study into the NZ advice industry. The study by The Skills Organisation explored the composition of the industry, especially in terms of employment status, level of learning and areas of business focus. Even a couple of years after regulatory reform with its consequent effect of pushing many advisers towards institutional structures the advice industry in NZ remains largely self-employed. We are indeed a nation of small business owners after all. This is most notable in the mortgage broking/lending area, and particularly in the insurance broking field. 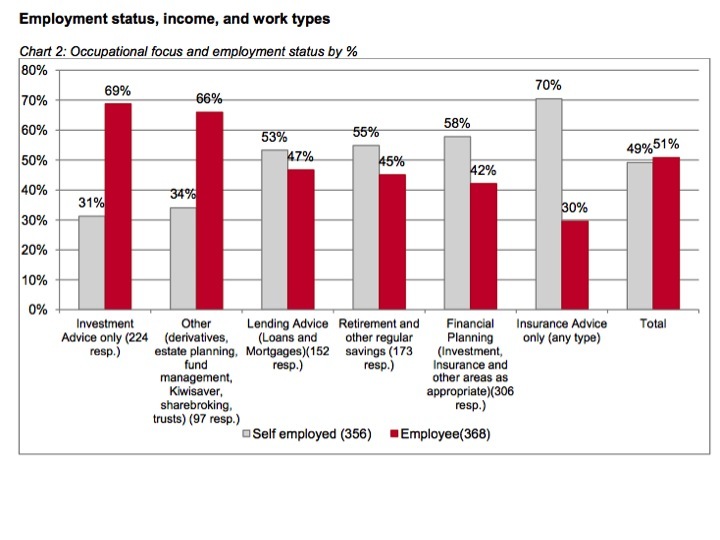 It is interesting to see that some 58% of advisers specialising in financial planning remain self-employed, as this flies in the face of the industry perception. Most in the industry feel that financial planning has moved into the domain of the corporates…but that is not so. What is apparent is that pure investment only advice is becoming the domain of the institutions. 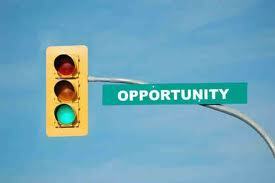 The research is suggestive of the real opportunities for advisers. Despite the adviser downtime of the last couple of years while financial advisers upskilled and embedded new processes as a result of the regulatory reform, together with higher costs and liability issues associated with it, all the while amidst a tough economic environment and investment markets abandoned by many NZ consumers, many advisers are still running their own businesses. Not shown in the chart above is some further interesting information regarding the remuneration mix of NZ financial advisers today. Of those advisers qualified to provide full financial planning or investment services only 37% now derive their income from commission or fees directly. Of those advisers working in the specialised (non-investment) fields some 64% are paid by commission or direct client fees. This suggests that in broad terms there are two viable business models in today’s environment. It is apparent that the institutions (banks, insurers, fund managers, etc) are successfully capturing the majority of both the distributors and the consumers in transactional investment areas. But it is suggestive that there remain some areas of excellent opportunity for the self-employed client-focused financial adviser despite the challenges and changes.